third from the left, seventh row up. This is very different to before. over tight laces and a comb. She does not remember those fondly. —she remembers it too well. as she walks back to her office. 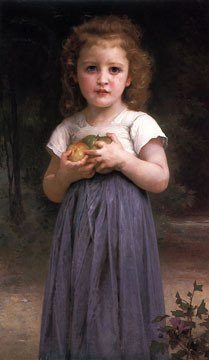 IMAGE: Petite fille tenant des pommes dans les mains, William Adolphe Bouguereau, 1895.